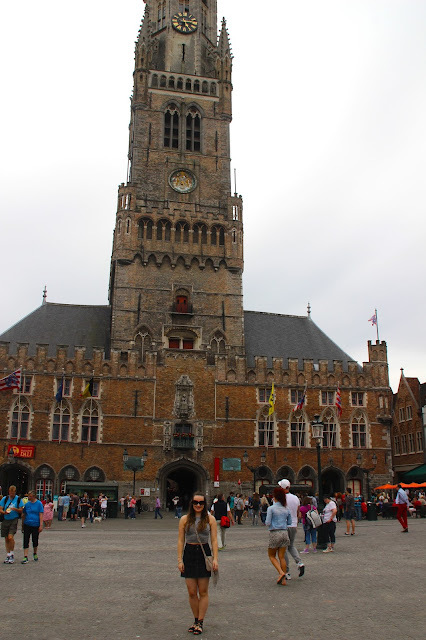 Bruges was our first destination on our cruise and I was pretty excited to get on land and explore. 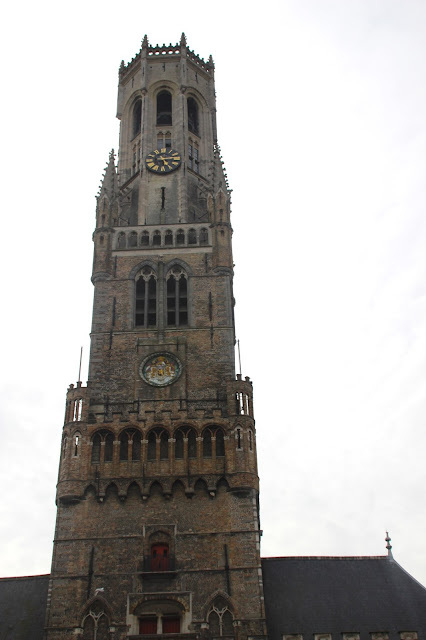 Bruges was a really quaint town with cobbled streets and cute crafty shops and chocolate shops galore. We headed to the square for a quick waffle and to see The Belfry. My sister and I decided to climb it too (not recommended in a short skirt! ), the walk up to the top is quite narrow and hard work at times but 366 steps later, we made it to the top. At the top we were met with some amazing views of the whole of Bruges, just look at them red roofs and luckily heard the bells ringing while we were up there too. 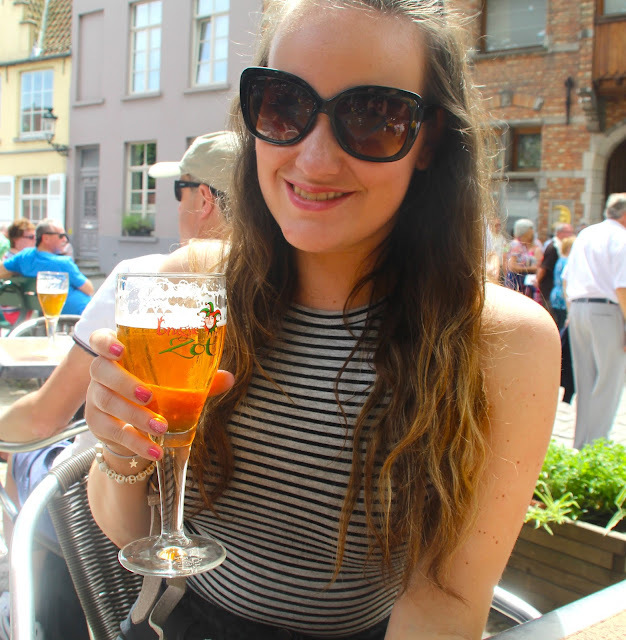 The rest of our day included walking round the town, doing a little bit of shopping and trying some Belgium beer, ok I lie it wasn't mine but it's great for a photo op right? Have you ever been to Bruges?